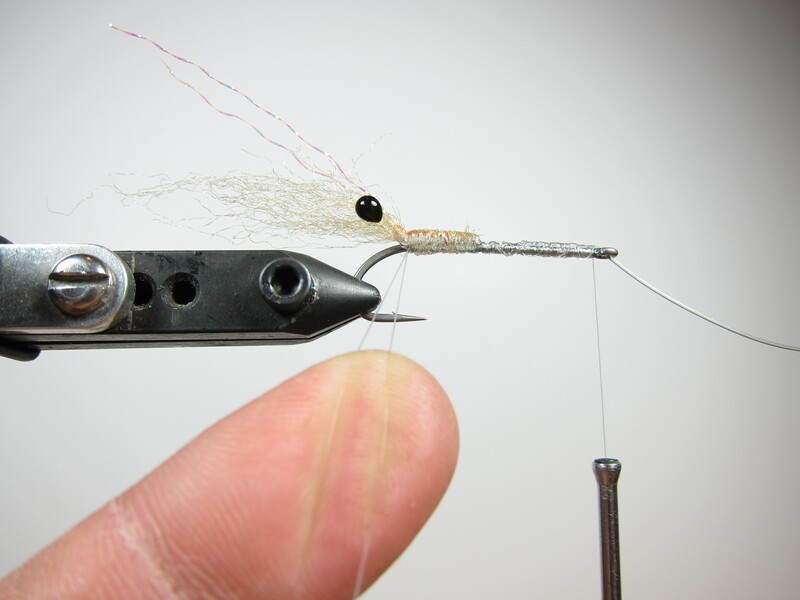 Smartt’s Shrimp is a small crustacean pattern that works well when redfish get picky, especially in the Spring when they are feeding on juvenile shrimp and crabs. 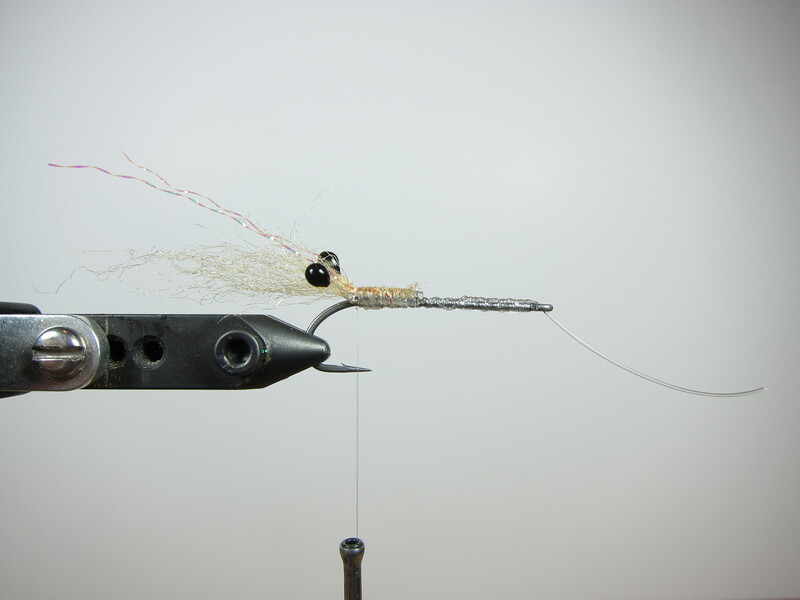 Smartt’s Shrimp is light and easy to cast and somewhat translucent in the water. 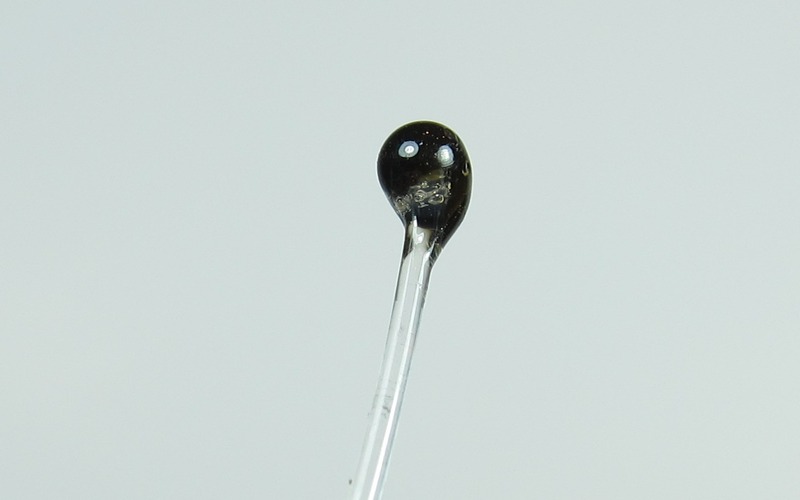 The eyes are made from burned/painted 60# mono and the body is formed with a dubbing loop using tan and brown EP fibers. 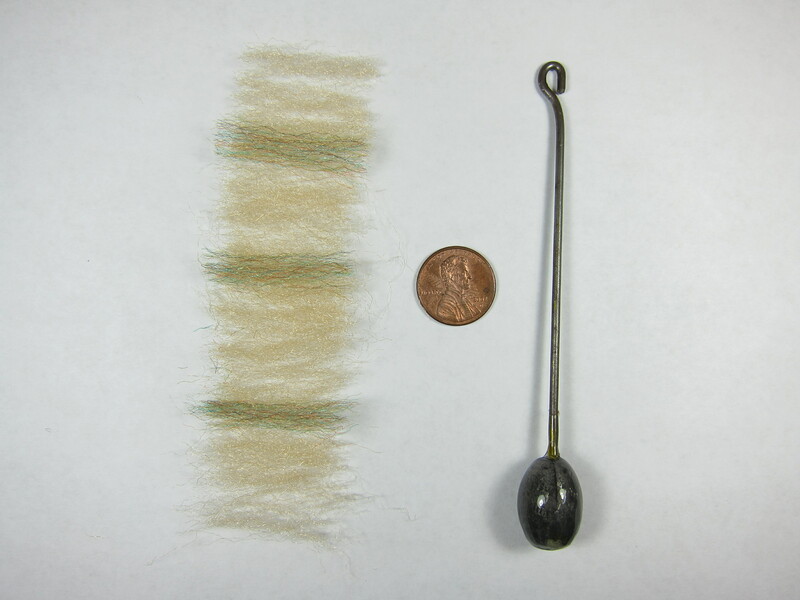 The dubbing spinnner/hook (shown in photo) hangs from the dubbing loop and is used to spin and twist the EP fibers into a tight frizzy strand. 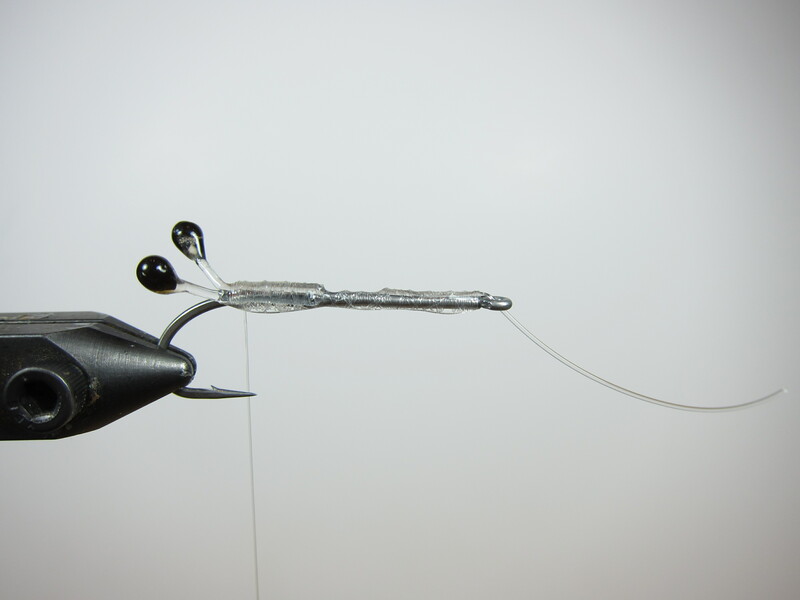 Once palmered around the hook shank, the fibers are picked out thoroughly with Velcro and then trimmed to a tapered shape in the final step. I like your shrimp fly. 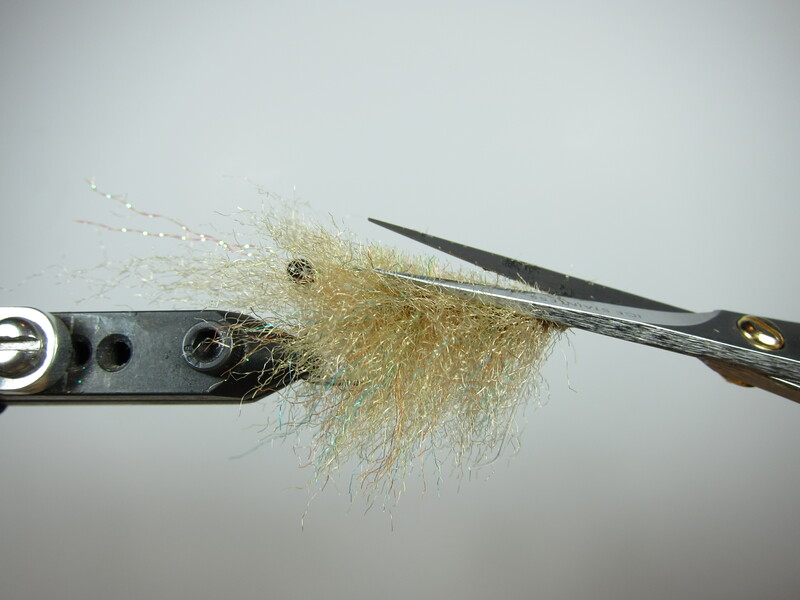 I tie one almost identical, however in lieu of EP Fibers, I found that usiing body fur from Cascade Crest Tools (a two sided hackle) tied just far enough apart on each turn so it doesn’t bulk up the fly and then trimmed in the same shape as your fly, makes the job a tad easier. 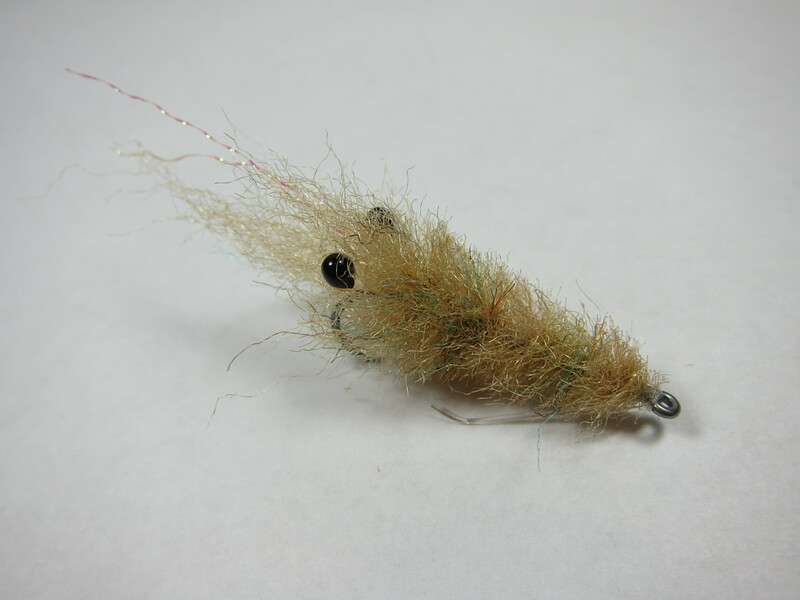 Since body fur comes in two sizes, you can tie any size shrimp or crab and they come in many colors. 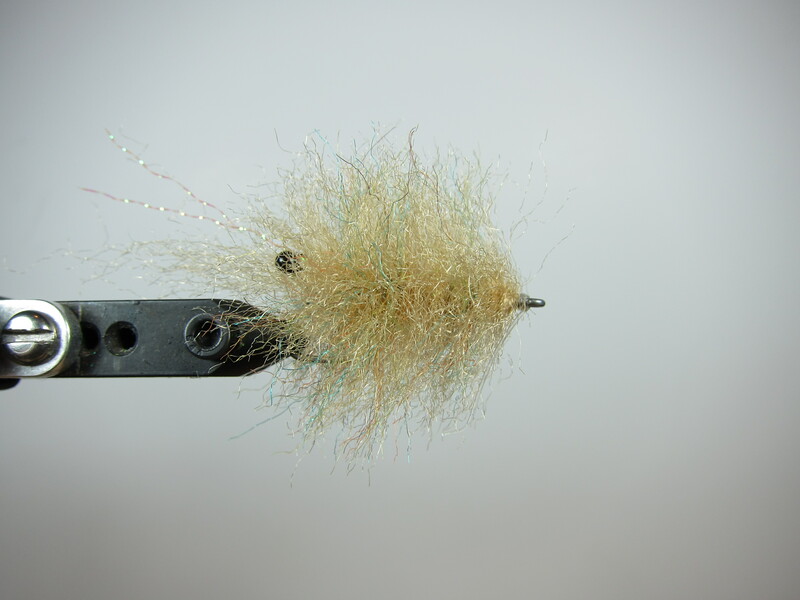 I’ve been using this material for about 7 years now and I tie all shrimp and crab patterns this way as well as my larger tarpon flies using a tail of almost any material and a body that looks like a crab. Just a suggestion, but one you may find helpful. Thanks for the tip on the material. I’ll give it a try. Looks like it might be a good fit for this and several other patterns. 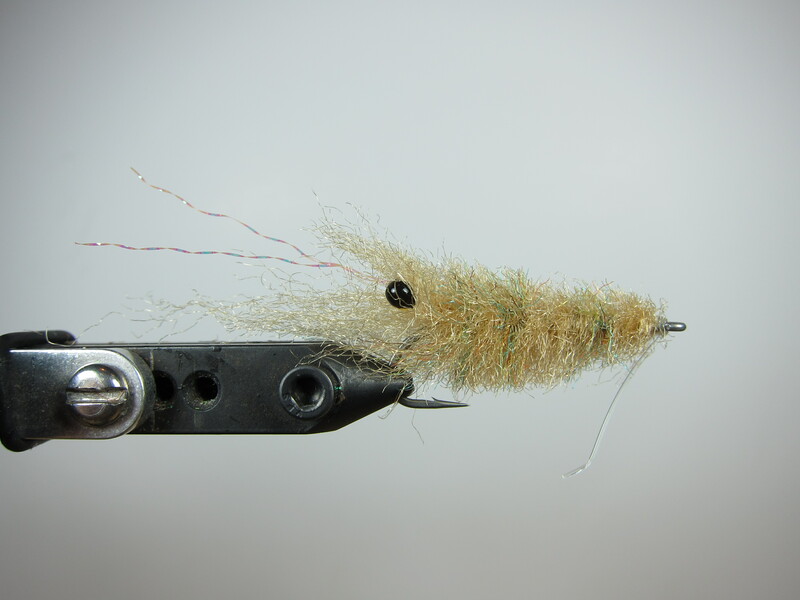 That’s a guide’s type of fly, a few steps to bring to life a meal. 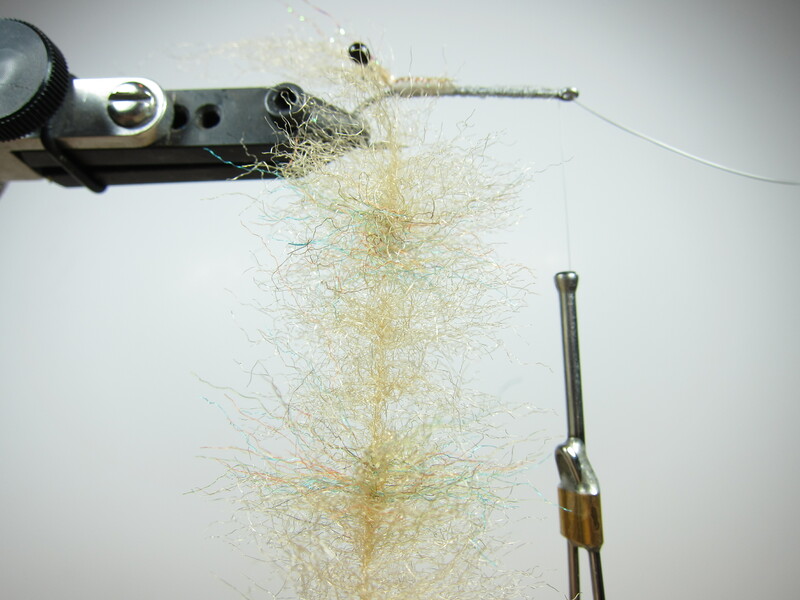 Very nice, I’m going to try one on some local stripers.